Have you ever asked yourself what the human side of your event is? In a world where speed of execution is paramount and digital experiences dictate the way we should plan and run events, making your attendees feel truly cared for can be a hard task. There's a list of requirements you must provide when running an event, such as a space for networking or encouraging knowledge transfer, but when it comes to stimulating your attendees' positive feelings, there is nothing to guide you. After all, the goals you are pursuing as a planner depend on what emotions your attendees will experience and impressions will they gather during the event. Not an easy thing to engineer considering that, as Nesana Pineda, corporate director of Exhibitor Services at The Freeman Company, notes, "Creating a lasting impression means knowing your audience intimately." Fortunately, there's one thing that may entirely define your attendees' emotional state: the event atmosphere you'll create, and the good news is that you have the full control over this element. Here are some tips that will help you create the best-ever atmosphere at your next event and win the hearts of your attendees, offering them a humane, friendly, and attractive environment. How many times did you just pick a few jazz or chill-out albums, without knowing what's in there? After all, the music's not a big deal - it's just something you'll play before the event starts and during the breaks, so why bother listening to all the tracks? Nothing further from the truth. Music sets the tone and rhythm of the event atmosphere, which can significantly affect how your attendees feel. According to composer and researcher Barry Goldstein, "Listening to music can create peak emotions, which increase the amount of dopamine, a specific neurotransmitter that is produced in the brain and helps control the brain’s reward and pleasure centers." Goldstein explains, "A composition by Beethoven could be used to represent sadness, or the song 'Happy' by Pharrell Williams could be used to represent joy." So you can directly influence the way your attendees feel just by energizing the atmosphere with the right music. As eventplanner.tv founder Kevin Van der Streaten notes, "The location will determine to a large extent the atmosphere, attractiveness and appeal of your event. In other words, your choice of venue can make all the difference between success and failure." 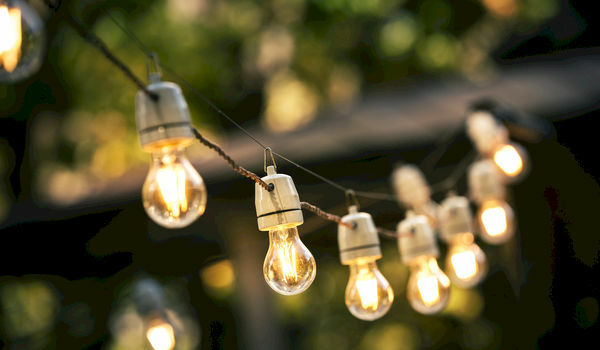 Venue decoration and lights will affect not only your attendees' emotional state, but also their participation and engagement levels during the event. You can't expect to make a great impression if you aren't providing comfort and good aesthetics. At the same time, a study from N. Shishegar and M. Boubekri shows that "daylighting has been associated with improved mood, with an enhancement of morale, lower fatigue, and reduced eyestrain." For a better atmosphere during the networking dynamic, for example, you may want to invite people into a room with plenty of daylight. To create the best atmosphere ever, you shouldn’t think about the physical reality only, but also about the cognitive one. Impress your attendees by making space for compelling stories to accompany the event. For example, you could invite an inspirational figure who could share his or her experiences. Or, if you want to promote your own message, you could wrap your story in an experiential session where you could engage the five senses of your attendees. Engage the services of a professional. Good moderators know how to keep the audience's attention and build a meaningful bridge between them and the event content, also energizing the atmosphere. It's a good idea to reevaluate the event program with the moderator. You both could look for interesting ways of connecting different narratives, and decide when specifically during the program the moderator should interact with the attendees. A good moderator is a guarantee for a unique event atmosphere. Events can be intense sometimes, especially when there's a lot of content for attendees to digest. So instead of just giving a few coffee breaks, think about some fun activities that will help your attendees refresh their mind. More than that, by entertaining your guests, you’ll be able to offer a friendly and relaxed atmosphere. You can’t just plan your events by just taking care of the logistics and communication. You also have to design a specific atmosphere that will make a lasting impression on your attendees. That's why it’s so important to make sure that every single detail, from music to decoration and types of activities, will have a positive influence on your guests' mood.